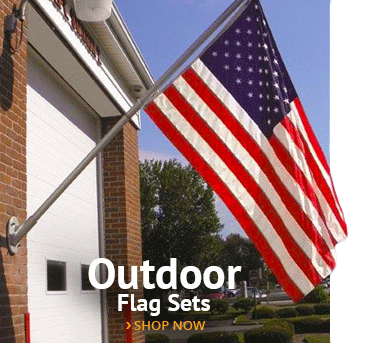 Outdoor American flags should be tough, colorfast, and ready to handle anything the weather throws their way, but not all flags are designed for outdoor applications. If you want to be able to fly your flag year-round in the outdoors, you’ll want to make sure that you’re choosing all-weather flags that are able to handle extreme temperatures and UV exposure. This guide will help you determine which outdoor U.S.A. flags are most appropriate for your needs. 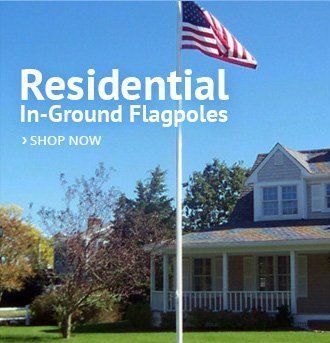 Exterior American flags should also be in good shape so you feel proud to display them. Old Glory deserves respect, after all. According to the United States Flag Code, when a flag becomes so tattered to the point where it can no longer serve as a symbol of the United States, it’s time to lay it to rest in a dignified manner, such as during a dignified flag-burning ceremony. Option for an outdoor flag made specifically to fly in all weather will help you get years of use out of your flag. As you probably know, the Flag Code designates the following: “The flag should not be displayed on days when the weather is inclement, except when an all-weather flag is displayed.” An all-weather flag should have the following features to appropriately honor the Flag Code. Colorfast — Flags, like any other type of textiles, get their colors through dyed fibers that can fade over time. This is okay in some cases, but not when your flag will be constantly exposed to UV rays and other environmental factors that cause colors to fade. Choose flags made of materials and dyes that keep the red, white, and blue bright for years. Tatter-Resistant — If you’ve ever attempted to fly an American flag made in China outdoors, you know that shredding and tattering is inevitable. Opting for shred-resistant flags will help keep the star-spangled banner in great shape for years of flying. 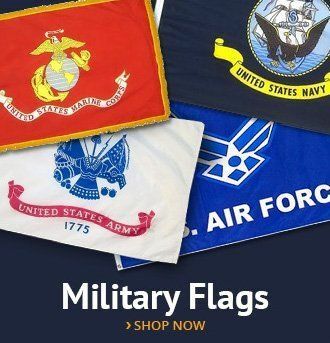 Industrial-Strength — Materials such as industrial-strength canvas and nylon help ensure that your flag stays in service even when it’s regularly exposed to harsh winds and weather. Choose flags made with embroidered or appliqued stars with reinforced stitching and UV-resistant treatments to ensure a long life. 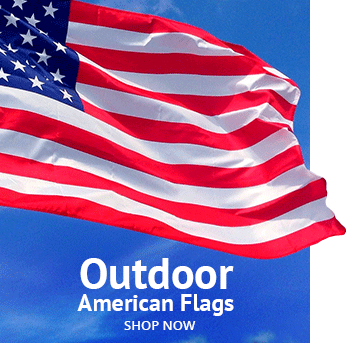 American flags come in a wide range of materials, from affordable styles made of colorfast Nyl-Glo nylon to more durable Tough-Tex flags that are appropriate for placement outdoors during all seasons. Understanding the different flag materials will help you determine which type is best-suited for your unique environment and applications. We generally recommend choosing either all-weather nylon or Tough-Tex for outdoor use. Tough-Tex American Flags — For the best durability and lasting performance, there’s no better choice than Tough-Tex flags. These flags are constructed from 100-percent long-lasting two-ply spun polyester, which makes them the longest lasting flags ever made! This unique construction helps maintain the flag’s shape and construction, even in environments with extreme weather, and it is specially treated to prevent deterioration caused by the sun or chemicals. If you’re searching for an outdoor American flag for commercial, industrial, or institutional use, a Tough-Tex flag is a premier option. These flags are finished with reinforced stitching using extra-strength polyester thread. All-Weather Nylon American Flags — A heavyweight, nylon American flag is a more affordable alternative to a Tough-Tex flag, but it doesn’t always provide the same level of performance. Our nylon outdoor flags are made of premium 200-denier nylon and are specially treated to resist UV radiation. 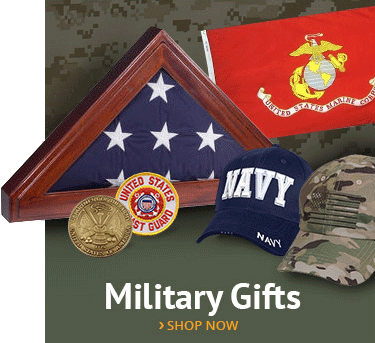 The 200-denier nylon is designed to outlast other nylon flags by as much as 33 percent. They also feature roped heading with rust-proof hooks and double-rowed stitching on the hems for extra strength. Choose a nylon flag if you intend to fly your American flag outdoors in more mild climates, primarily in residential environments. Just like anything else you buy, the American-made label on your American flag equates to greater quality over time. You always want to make sure you’re purchasing American flags made in America, not from China or Mexico. Not only are U.S.-made flags better in quality compared with foreign-made counterparts, they’re also made with pride and are typically treated with the appropriate flag protocols. A good, U.S.-made outdoor American flag should last you for decades when you care for it properly. This entry was posted in American Heritage, Patriotic Decorating, The American Flag 101 by Administrator. Bookmark the permalink.